Hay v’s Haylage – Which Forage Should You Choose? The foundation to any feeding programme is the forage content of the diet, recommended by the National Research Council to be a minimum of 1.5-2% of a horse’s body weight/KG per day. How do we then choose which forage source to use and if this source is suitable for our horse? This decision is often pre-determined for some owners due to other factors such as; availability, cost and health implications i.e. laminitis. Naturally, each forage source will vary in nutrient composition, sending off hay or haylage analysis can provide owners with an idea of the nutrient content available. After forage is harvested and stored the vitamin E level decreases, supplementation to the diet such as Bluegrass Stamm 30 or a fortified feed will help meet these requirements. Haylage has a lower dry mater content of 50-65% compared to hay, 80-95% (NRC,2008). This therefore means that more haylage is required to be feed compared to hay, to meet the daily recommended guidelines for dry matter intake. Haylage does however, contain higher crude protein, fat and digestible energy. When feeding haylage, the fermentation process can begin quickly if the bale is exposed to air, this may be due to damage of the wrapping or not using the bale quick enough once opened. Mould spores or fungi will develop, this should be carefully assessed before feeding to your horse. Haylage with a high acidic and water content can lead to gastric upset for sensitive horses and in some cases may induce colic. Some owners choose to feed hay for health-related factors or for the “good doer” struggling to manage weight. The quality of hay is important to consider, as the dry matter content is higher than haylage, the protein and digestible energy is lower. 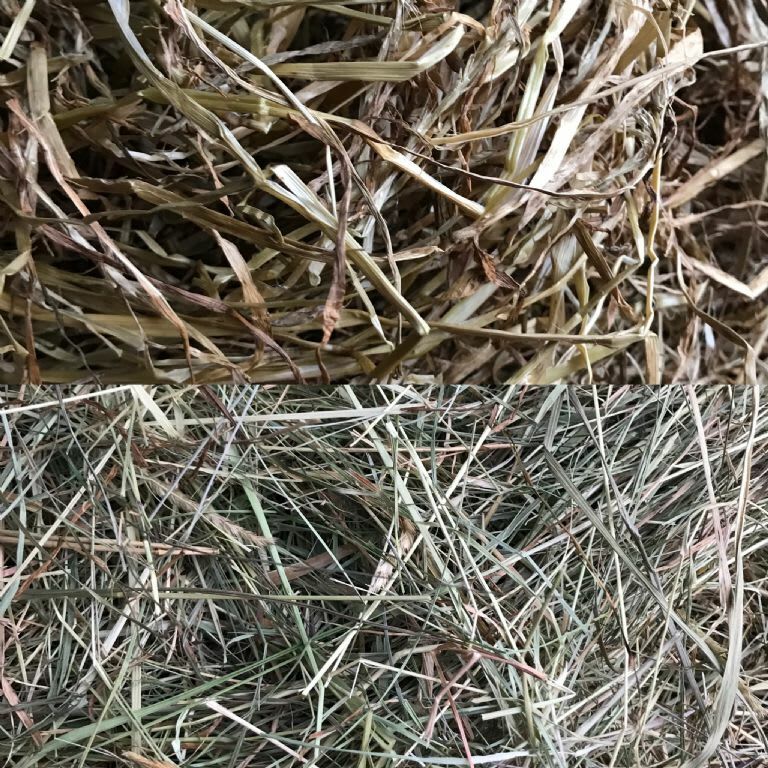 Hay can also contribute to respiratory issues from the dust, mould spores and fibrous plant material, known as the respiratory dust concentration of the hay. If these are high they can result in airway irritation, not ideal for performance horses or those suffering from respiratory conditions such as COPD (chronic obstructive pulmonary disease). When feeding hay there are different preparation techniques used to reduce the respiratory dust concentration exposed to your horse. 2) Wetting Hay- Also been shown to significantly reduce the respiratory dust concentrations, this method does not impair nutrient content of the hay. 3) Steaming Hay- Recently this method is growing in popularity with studies showing a 99% decrease in respiratory particles and 99% decrease in bacteria and mould. Steaming does not impact the nutrient content and the bi-product water does not require specific disposal.